Nuova Guseo established its reputation over the years by designing plants and equipment for fine and extra-fine grinding, mixing systems, devices for solids handling, containment systems for the treatment of highly active products. 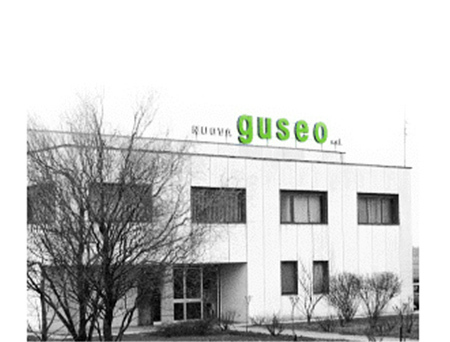 Today, strengthened its technological assets, Nuova Guseo is a leading manufacturer of a wide range of highly qualified equipment for solids treating for the chemical, pharmaceutical, food, cosmetic and mining fields. Consulting the website it is possible to view the whole range of products and to appreciate the high constructive quality. Founded in the early twentieth century by the pioneer Mr Domizio Guseo, the society mainly dealt with equipment for the mining and extraction field. During the years, with the help of new technologies, it has specialized in far more complex areas, such as the chemical and pharmaceutical ones. Thanks to the confidence of old customers who have relied on its skills, Guseo has an undisputed experience which results from a production carried out with great passion. Even today, with the same passion as before, Nuova Guseo follows daily, step by step, those who commit their own work and their own safety to its hands. Nuova Guseo’s salesperson staff is technically highly qualified and is able to support customers in all technical aspects. The technical department’s staff follows the customer during all the steps of the project up to the commissioning and start-up. Nuova Guseo can supply DQ-FAT-IQ, OQ (SAT) protocols and execution. Nuova Guseo doesn’t realize series products, but customizes all its equipment according to specific customer requirements. The basic thought is that any new requirement reinforces its knowledge and opens to new challenges. Nuova Guseo has always considered that customers’ satisfaction is the best reference. For this reason, its aim is to listen to customers’ needs in order to give them the maximum satisfaction from every point of view.